In a single day, Harriet lost everything. She was a young girl when the LRA (rebellion army) brutally killed her father — abducting her mother and siblings. 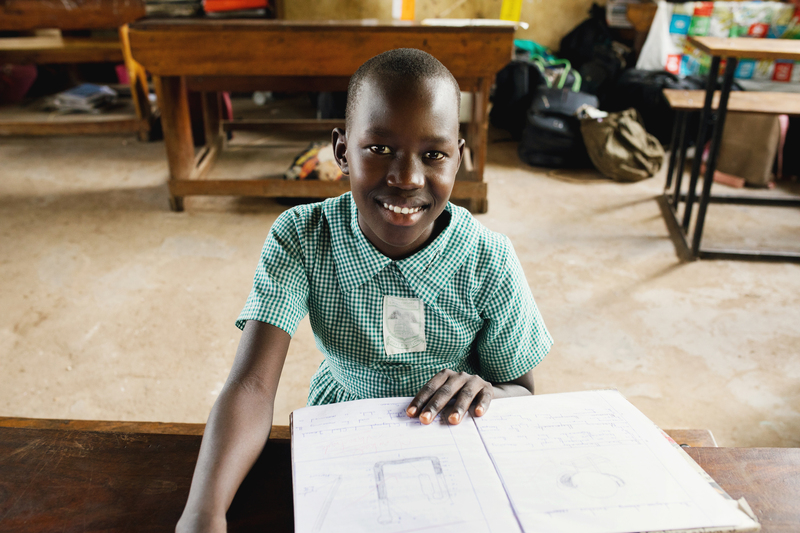 Three long weeks later, Harriet’s mother returned to their village, but she was not the same. Her mother, Grace, was psychologically and physically traumatized from the horrendous torture she had gone through at the hands of the rebel army. Grace’s scars had left mentally debilitated and unable to care for her children. Having no mother or father to care for them, Harriet and her siblings would spend years looking after themselves and caring for their mother. In 2013, Harriet and her siblings were introduced to a care program in a nearby village — a care program led by Exile International. Through the compassionate and skilled care of EI’s team, each would finally have the freedom to be children and begin their own journeys of healing. Because so many of EI’s partners and supporters have said “yes” — these brothers and sisters have safety, food in their tummies, quality education in a Christian school and… They know they are deeply loved! EI’s care team has helped Harriet’s mother receive the psychiatric care she needed and, after years of mental instability, she is becoming herself again and is able to be a mother again! Finally… these children have their mother back! These brave survivors are receiving the life-changing care they need to not only heal… but also be empowered to reach for their dreams! Harriet’s dream is to become a doctor and care for others in need. She is not defined by her past… she dreams of her future! Join us in celebrating Christmas differently this year… by giving up! By giving up something you want… you can give a child something they need. This Christmas, we’re inviting you to give up something (a gadget, meals, presents or a cup of coffee) — because giving is so much sweeter than getting! Join others in giving up to give back — to make healing and hope possible for child survivors of war! The future is brighter because of you!